Edner Jean studied painting at an early age under the instruction of Philome Obin at "The School of the Cap". He attributes all that he knows as a painter to Philome Obin. 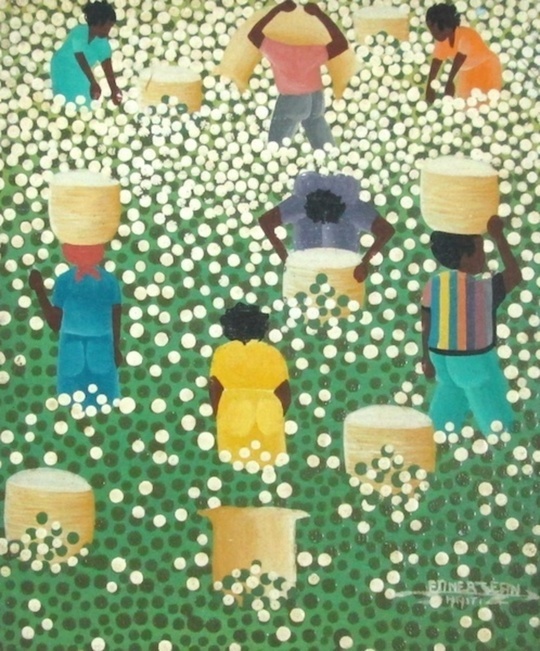 As a young painter, Edner chose scenes of country life and historical subjects that retrace the epic of the battle for independence of Haiti in 1804. 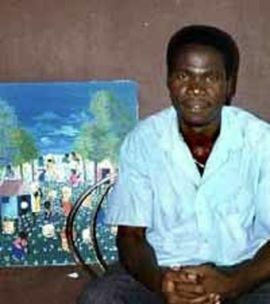 Edner Jean still lives in Cap-Haitian where he farms sugarcane as well as paints scenes of cotton fields harvested by peasants. 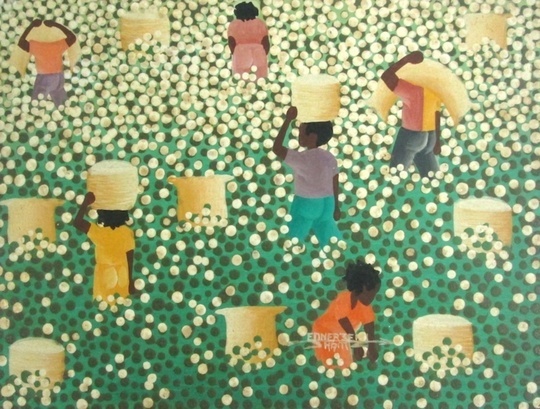 When asked, he admits that he doesn't know where the idea to paint cotton fields came from. 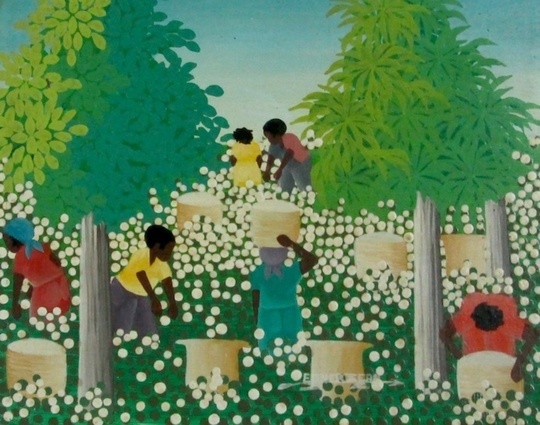 Cotton fields are found largely in Gonaives, which is south of Cap-Haitien--a place he now visits frequently. Because he is a farmer himself, he connects strongly to the earth and the endurance of field workers. Edner Jean has been included in many international collections and is published in the following: "Kunst aus Haiti" by Ute Stebich, as well as the more recently published "Artistes in Haiti" by Michele Grandjean.